Disturbing footage has surfaced online showing a physical education teacher appearing to strip naked and chase children around a playground in California on Friday. According to KCAL, parents of students attending Carthay Center Elementary School are outraged after the bizarre video surfaced online in which the school's gym teacher can be seen removing his clothes and exposing himself to second-grade and fifth-grade students. 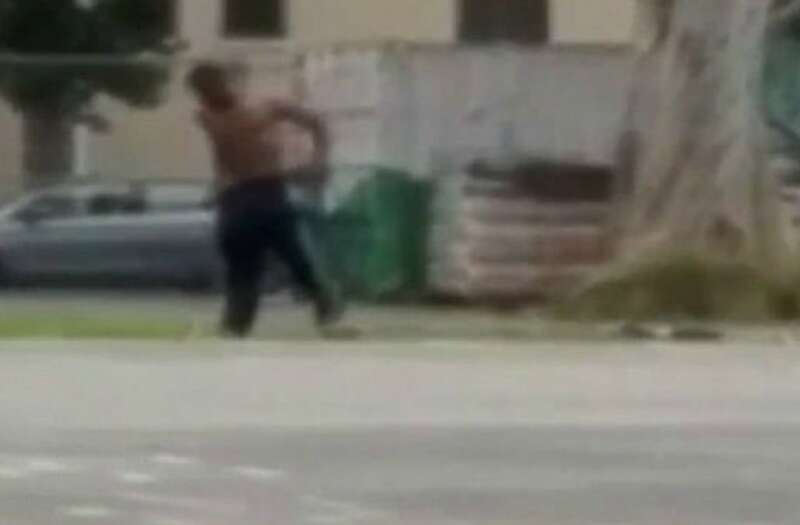 The video was reportedly taken by a construction worker who began filming the teacher, who has not yet been identified, as he pulled his pants back on in the middle of the playground on the Los Angeles campus. Parents told the local outlet that the teacher chased students through the playground while he was naked. "He was supposed to be helping them learn PE, run around and have fun... But he undressed and started chasing the kids while he was naked," one parent, Adrianna Weingold, told the station. "Then the kids ducked and dodged, ran into some of the classrooms and got safe haven that way." Another parent told KCAL: "All of the kids saw his private parts. Very embarrassing, very upset." Locals called the police after spotting the unusual incident, which prompted the school to be placed on temporary lockdown. The school later sent home letters to parents notifying them of the incident. "An individual began behaving in an unusual way, prompting us to contact law enforcement," the letter read. "As a safety precaution, our school went on a brief lock-down while officers responded and took the individual into custody." At the time of the video, the teacher was a contracted employee and approved to be on school grounds. According to the local outlet, no charges have been filed against the man but the investigation remains ongoing.